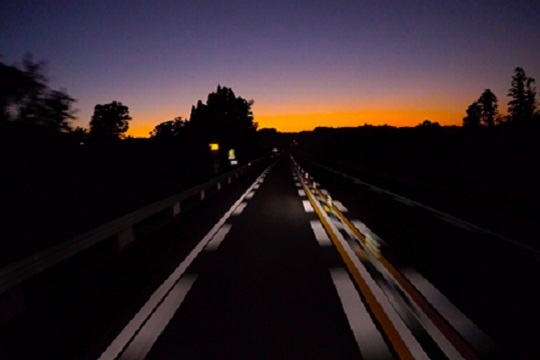 As daylight hours dwindle, many of your employees will be spending more time driving in the dark. Whether driving to work, home from work or as part of their jobs, they will be on the road before the sun comes up or after it goes down. Fatigue, compromised vision, rush hour traffic and impaired drivers contribute to making driving in the dark more dangerous than driving during the daylight, according to the National Safety Council. How aging affects drivers: Studies show a 50-year-old driver may need twice as much light to see as well as a 30-year-old. At age 60, driving in the dark can become even more difficult, in part because of the effects of cataracts and degenerative eye diseases. Sleep habits: Adults need seven to nine hours of sleep to reach peak performance levels. In a National Health Survey Interview, 30% of respondents reported averaging less than six hours. Losing even two hours of sleep is similar to the effect of having three beers. In other words, judgment, concentration and reaction time can be thrown off course. Low-visibility on crowded roads: The frustration of traffic delays is an altogether different ballgame. The daily commute can be tough enough under the best conditions – clear skies, dry pavement. Add darkness to the equation and it’s no wonder risk increases. Automatic emergency braking: can sense slow or stopped traffic ahead and urgently apply the brakes if you fail to respond. Watch: Stop a Collision in its Tracks. Lane departure warning: uses visual, vibration or sound warnings if you are drifting out of your lane. Watch: Keeping You in Line. Blind spot monitoring: warns of cars driving in your blind spots and may provide an additional warning if you use your turn signal when there is a car next to you. Watch: Spot the Hidden Danger. Adaptive headlights: adapt to changing roadway conditions – such as curves – to better illuminate your path. Watch: Headlights That Follow the Road. One more thing to consider regarding headlights: vehicle selection. In a post for Autoblog, Associate Editor Joel Stocksdale highlights 40 vehicles that failed to receive the Top Safety Pick rating from the Insurance Institute for Highway Safety because of poor headlights. In Texas, football is part of the culture. Labor Day weekend is not only the kickoff of a new season but also a time when many bid summer farewell at a big bash. Prepare employees for these upcoming events by acting as a Texas Impaired Driving Safety Champion. 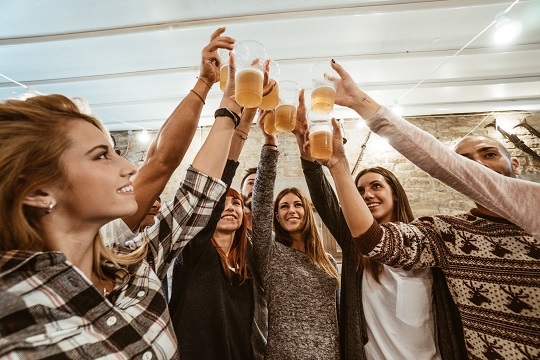 In order to reduce alcohol-involved crashes, there is a continued need to educate people about the safety effects of low alcohol concentration levels. Most adults reach 0.05 after two to three drinks, according to National Safety Council research. For a driver, this can affect judgment, concentration and reaction time. A split-second can be the difference between a collision and a near miss. At 0.05, crash risk is 40% higher than at zero alcohol concentration. In Texas, 13,847 crashes involved drivers with alcohol concentrations at or above 0.08 in 2017, according to the Texas Department of Transportation. Driving under the influence of drugs was a contributing factor in another 3,108 crashes. That’s 16,955 DWI crashes in a single year – more than 46 every day. Help create a cultural change with a fun exercise at your workplace. The DWI Quiz from TxDOT tests drivers on their knowledge about driving under the influence of alcohol and drugs. The quiz and a number of other free resources can be found on the Texas Impaired Driving Task Force website: DyingToDrink.org. Our Driving Concern Senior Program Manager Lisa Robinson serves on the task force, which is accepting nominations for the first Texas Impaired Driving Safety Champion award. Any Texas law enforcement officer, prosecutor, educator, advocate, employer or organization that has made a substantial impact in addressing and reducing impaired driving in their community or across the state is eligible to receive the award. Know a good candidate? Nominations are due Sept. 30. Free DITTE training: Make plans now to attend Drug Impairment Training for Texas Employers. Participants will learn how to identify signs of impairment, educate employees and develop or improve company drug policies.